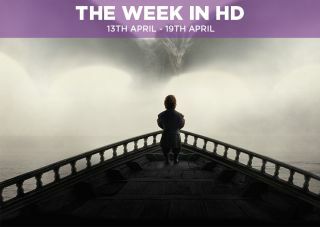 The Week in HD - Monday 13th April | What Hi-Fi? Jude Law heads a cast of fine actors in this submarine-set suspense film that evokes The Treasure of the Sierra Madre. Law's Captain Robinson owes a previous employer, and in order to settle matters he assembles a crew to go down to the bottom of the Black Sea to search for sunken gold. However, his recruits aren't the nicest of people and neither is Robinson – what are the odds of this ending well? Law is great in the lead role and while the story veers down some predictable corridors, the atmosphere created within the dank and claustrophobic submarine makes this a tense watch. The creative team behind Flight of the Conchords reunites for this horror comedy which sees Jermaine Clement, Taika Waititi and Jonathan Brugh play a trio of centuries old vampires (Vladisav, Viago and Deacon respectively) struggling to grapple with the mundanities of modern life. Similar in vein to The Cornetto Trilogy this is an affectionate parody of vampire films, but one that's as good doling out the laughs as it is the scares. The War of the Five Kings may be over, but the fourth series still had room for upheaval with (spoiler alert) Charles Dance's Tywin offed by his son Tyrion (Peter Dinklage), Arya (Maisie Williams) off to foreign lands thus ending any optimistic hopes of a 'Hound & Arya' spin-off, and Daenarys (Emilia Clarke) chaining up her dragons who are becoming harder to control (and with Drogon still loose). So what will happen this season? Refreshingly, avid book readers and TV viewers alike will (probably) be in the dark as the show catches up and flies past George R.R. Martin's books. However, we're expecting this to be a season of revolt with Daenarys, Jon Snow and Cersei quite possibly in the cross-hairs of those who want change in Westeros. Jim and Leslie go on a date, but it's at the circus and a murder happens. We're introduced to the Grayson family, and a young man with a winning smile. On the other side of town, Bruce has his first meeting with the board of directors at Wayne Enterprises. It's a rematch of last year's final with the two Madrid teams vying for a place in the semis. Atletico will need to be wary: Real's slump appears to be over with the talismanic Cristiano Ronaldo back in goal-scoring form. T-Bone and The Iceman. A young woman is found flash-frozen in the middle of a road and there's some shady cryogenics firm on the loose, but the real crux of the episode is Joan's relationship with her mother Mary (we see what you did there, Elementary writers), and how she's dealing with her deteriorating health. This is one of our favourite challenges: the semi-finalists must create a spectacular dish using scraps, leftovers and trimmings. Next, they face a formidable group called The Supertasters. These Supertasters are five world experts (one has his tastebuds insured for a million pounds, two are masters of wine, and one is a professor in the science of taste) who make a living out of their highly analytical and sensitive tastebuds for food and drink. Working in teams of two, the amateurs must concoct a six-course tasting menu to delight the senses. "Put the bunny... back in the box." What happens when you put a dozen of America's most dangerous convicts in one plane and fly them over Las Vegas? This film happens. One of Nicolas Cage's finest action roles - with scene-stealing performances from Steve Buscemi and John Malkovich - where he plays a man trying to get home in time for his daughter's birthday, but first has to deal with his fellow criminals hijacking the prison transport plane. Broken Arrow. There's a new villain in town: Deathbolt. But even as Oliver and Ray face off this new big bad, we're more excited about the actor playing him. Doug Jones' name and face may not be familiar, but you'll know him from his outstanding character work as the Pale Man in Pan's Labyrinth, Abe Sapien in Hellboy, or even as one of the creepy Gentlemen in Buffy the Vampire Slayer's Emmy-nominated episode 'Hush'. New Business. Don receives unwanted advice from Roger, and Harry asks him for his blessings...in what? Meanwhile, Peggy and Stan argue over an account. Cold Comfort. Reece Shearsmith and Steve Pemberton set up another short story to unsettle and delight us. It's Andy first day as a volunteer at the Comfort Support Line, but is he prepared for the calls, the co-workers and the emotional stress that comes with job? It's the last of the semi-finals, and the chefs have just one last chance to get a place in the final. The challenge is simple: cook one show-stopping dish to win over three formidable restaurant critiscs: Charles Campion, Tracey MacLeod and William Sitwell. Love in the Time of Hydra. Bobbi and Mack finally reveal to Hunter who their allegiances lie with (and Battlestar Galactica fans will love the special guest star), while Ward and Agent 33 go on a mission. Inside the Bus, tempers flare as Coulson and his team debate how to deal with Skye's growing powers. Victoria Coren Mitchell takes on hosting duties on tonight's episode, which will no doubt cover more election news. Joining Ian Hislop and Paul Merton are guests Alun Cochrane and Lord Prescott. Jose Mourinho's Chelsea look like Champions-elect, but with Manchester United buoyed by a run of six wins in a row - including a win over rivals Man City - this encounter could be tighter than expected. Tom Hanks and Kevin Bacon star in this 1995 classic about a real-life lunar mission gone wrong. When an explosion causes the Apollo 13 spacecraft to lose oxygen and power, the crew has just four days to return back to Earth safely. The Bahrain Grand Prix. Can Lewis Hamilton continue his winning streak? The Brit seems unstoppable, proving to be a headache for teammate Nico Rosberg, with even the Ferraris of Kimi Raikkonen and Sebastian Vettel struggling to get past. Let's hope this race is kinder to the McLarens. Rossi and Marquez have started the 2015 championship with a win apiece, but the Ducati of Andrea Dovizioso is also well in the mix. A Ducati with a winning chance? The competition is getting fiercer by the second, and we can't wait for more two-wheel action at the Argentina GP this weekend.